Overall : 4/5 – Overprice! Tresorit is one of the leading companies in encrypted cloud storage and offers businesses with the flexibility and security that they require. 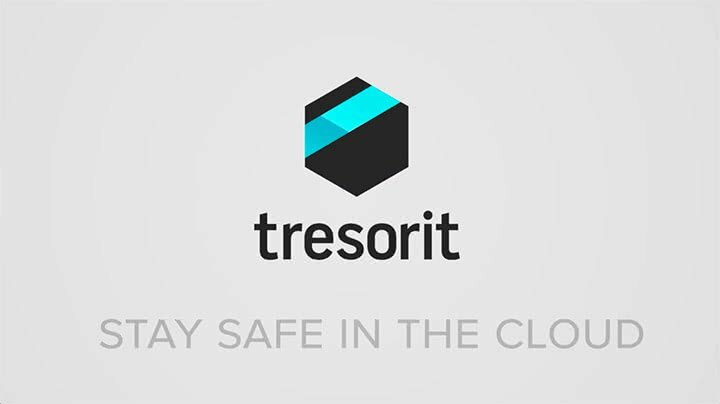 To be able to properly understand why Tresorit is one of our choice for secure cloud storage, we first have to review it in-depth. For each and every company, security is the number one concern that they will have. It had been stress out every time when we review or discuss about cloud storage services. Tresorit is a cloud-based service that allows businesses to share and store their files securely while using client-side encryption that guarantees the security of all files once they have left your computer. If you use Tresorit, your encryption keys do not reach Tresorit’s servers. This helps prevent any unauthorized file decryption from the server side. The ability to be able to choose what type of access is available to certain files depending on the permission granted to the user makes this system very much the same as DRM workplace Solutions. Tresorit can be accessed via a web browser, mobile applications, and client-side application. To date, Tresorit is supported on many operating systems, including iOS, Android, Windows, Mac OS, and Linux. Tresorit allows you to share, organize and sync your files privately and securely. The user interface is well-designed and clean and makes navigating the system and efficient and easy to perform task. Much in the same way as many other business file sharing applications, you are able to send links to the encrypted files for individual uses to be able to access. You can protect these files with a password, an expiration data and a download limit. You can also revoke access anytime you want to. The user must first sign up for the service, which is free to do. Once you have signed up you have access to the designated files that you have uploaded. You also have the option to send individual files, of which can be accessed via a supporting browser and a security sent password. This means that the sensitive information that you upload to Tresorit remains 100% safe and secure at all times and can only be viewed by those who have the correct link and the associated passwords. The interface is very straight forward and direct. It’s easy to navigate around and I would certainly appreciate the effort had been putting into creating an easy to use platform which comes with the highest degree of security on it. Tresorit Has a Fantastic Reputation, Why? Tresorit was incorporated in Switzerland, like pCloud here. This has some of the strictest data privacy laws in the world. The addition of end-to-end AES encryption means that the user doesn’t have to use further encryption modules to encrypt files in the cloud and so can avoid exposing their data to hackers and security breaches. Unlike other competitors, such as Dropbox or Google, the files are not the decrypted on the server when accessed. When a service decrypts files on the servers, they are potentially giving access to anyone with access to the servers to see the files. In fact, Dropbox was hacked back in 2014, which gave hackers access to the sensitive information that users had uploaded. Giving in over 7 millions of password. Those who use Dropbox may not know that it has access to your encryption keys; therefore your files are not securely protected. Tresorit does not have access to your encryption keys, so everything you upload remains for you and your authorized user’s eyes only. Another competitor is Google Drive, which offers fantastic services. However, sensitive information and security are vulnerable, as the level of security is only as good as the security of the users Google account. While Google is a popular choice for many, in May of 2017 many Google accounts became the victim of a professional phishing scam. Google phishing scam in 2017. The scam led users to believe that they have been sent links from Google Docs. The emails that they received appear to come from contacts that the user was familiar with. These types of advanced hacking methods are becoming more and more popular with each passing week. Tresorit keeps your encrypted files safe and secure. How Can I Be Certain That Tresorit’s Security is Top Notch? Get to try it for yourselves. While they do not offer any free cloud storage but Tresorit do offer 14 days free trial. Find out who offer free cloud storage here [30 in the list]. When it comes to the world of modern business, collaboration is the key. With all collaboration comes risk, especially when sharing sensitive files and information with other parties. When you use the Tresorit DRM, you will have the ability to revoke access at any time. This means that even after you have shared the file, the high level of security is extended with them. The way in which this works, is that the rights are sent with the files, and each one is individually encrypted, meaning that if the receiver makes a copy of the file to an external flash drive which becomes lost, whoever finds the drive cannot view the files without having authorization first. Microsoft RMS provides permission management, but cannot read the file as the RMS servers cannot gain access. Tresorit DRM utilizes a system which means that neither Microsoft nor Tresorit have access to a key. In turn, they are unable to be made to give your decrypted files over to any entity, regardless of their authority. The ability to revoke privileges of file access to the end recipient is clear-cut. The user simply selects they required rights, which is performed through the DRM module. This allows the individual to have complete control over the access of all and any files that they upload. For small businesses, Tresorit is an economical and affordable option that provides top-level security at a certain entry price level. Small business plan start from $20 a month with 1,000 gigabytes of cloud storage available for 2-9 users. While for individuals, 2,000 GB storage (Solo plan) is provided but at an increased rate of $30 per month. The $30 per month can be reduced to $24 per month if you are billed annually instead of monthly. For these prices, the users can gain access with up to 10 devices, have complete permission control, and take advantage of two-factor Authentication. 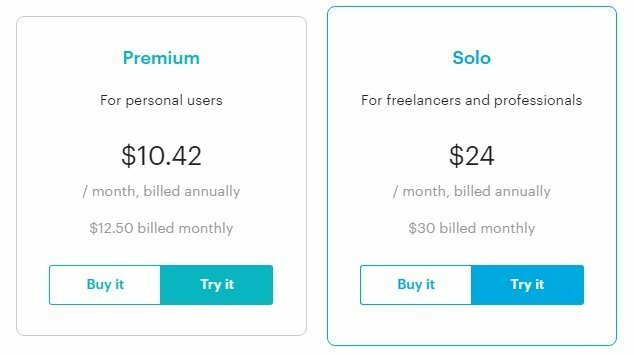 There’s a cheaper price of $10.42 a month called Premium. You get 10x less the storage capacity and half the number of access to devices. We believe Tresorit may be too expensive for average users. With the same amount of storage and security feature, pCloud is offering something out of the box and we strongly suggest you to have a look. We are using their 2TB storage plan and bundle with their Crypto feature. Making it an unbreakable encryption cloud storage at a sweet price (-50%). Check out pCloud review here. Of course there are a whole host of other benefits too, which make Tresorit one of the safest place in the cloud. These include the ability to restore deleted files, the option to sync existing folder structures, built-in end-to-end encryption, and the ability to integrate it with Outlook, and file control of shared files on a team level. Most of them are standard nowadays but it’s good to know it’s there for you. Tresorit offers encrypted cloud storage, which is an absolute must for any business sharing sensitive files and information online. There is a reason as to why thousands of people make use of Tresorit every day, and that is because when it comes to security, no other cloud-based server is able to provide such intensive and secure file sharing services. Sure, you can continue to use other services such as Dropbox or Google Drive to transfer your private files to the end user. But is it really worth the risk? We believe Tresorit may be too expensive for average users. With the same amount of storage and security feature, pCloud is offering something out of the box and we strongly suggest you to have a look. We are using their 2TB storage plan and bundle with their Crypto feature. You’re off better with pCloud for a really secure cloud storage services with the fraction of Tresorit cost. Find out how pCloud fare here. Unlike Dropbox and Google Drive, Tresorit has a zero-knowledge policy, which means that you and you alone have access to the keys to your files. In a world full of people out to get access to potentially sensitive information that they can use for that benefit, it makes sense to take advantage of the utmost security at all times. The flexibility that Tresorit offer its users makes it having access to your important files easy, but only to those who have authorization. You will be able to access your files wherever you are in the world and on any authorized device, which means that you can take your work with you and know that it’s just a few clicks away. 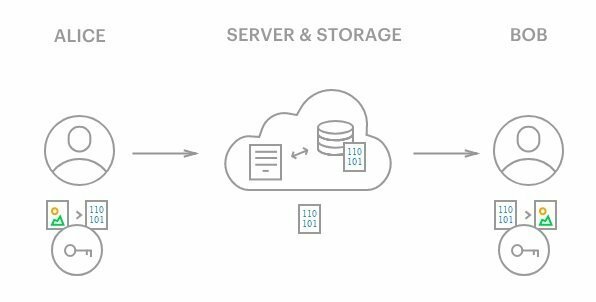 When it comes to encrypted cloud storage, no other does it quite like Tresorit does. Moreover, Tresorit offers HIPAA compliant solution and GDPR Compliance.